We know, we know: Stretching is confusing. One minute, experts tell you to stretch before you run, and the next minute research reveals that static stretching (think: touching your toes) may actually zap performance. What's a runner to do? Well, first, know this. You need to stretch. Running makes your legs strong, toned, and, unfortunately, tight. 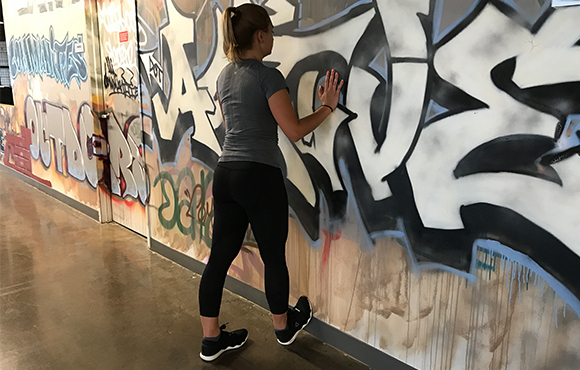 Every step you take forces those quads, hamstrings, calves, and hips to flex and extend over and over to propel you down the road. After many miles, those hardworking muscles and tendons can develop imbalances, scar tissue, and tension, slowing you down and paving the way for common over-use injuries like IT Band syndrome, and Achilles tendonitis. 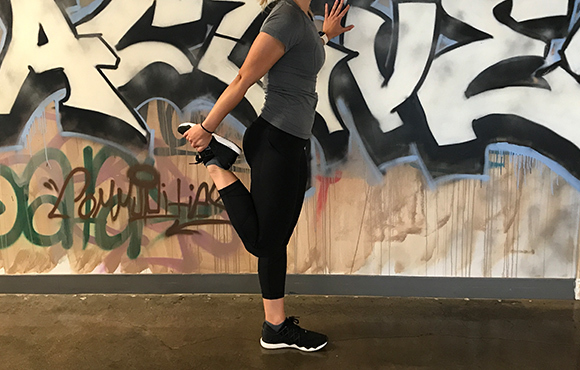 In terms of when and how you should get all Gumby, Chicago-based NASM personal trainer and USA Track & Field certified run coach Meghan Kennihan, suggests doing dynamic stretches before you pound the pavement, and do static stretches after your run, when your muscles are pliable. "Dynamic—that's in motion—and static stretching is an essential part of any runner's training program," Kennihan said. "Dynamic stretches activate and loosen up all your leg muscles, preparing you for your run. Static stretching at the end of your run can bring your heart down, cut your risk of injury and lessen muscle soreness." 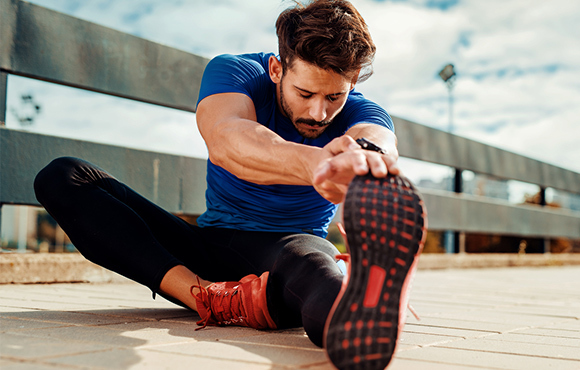 To prevent injury and hasten recovery, perform dynamic stretches before you pound the pavement, and do static stretches after your run, when your muscles are pliable. Take a large step forward with your right leg, and bend the knee until your thigh is parallel to the floor and knee is aligned with your ankle. Push back upward, draw your left foot even with your right and step forward with the left. Try to keep your walking lunges fluid, and focus on proper form. Do 20 (10 per leg).